When calling press option #4 to hear our weekly specials! Click here to request an appointment call us at (520) 888-6575 today. Affordable Financing is available with the Bosch Credit Card. Low monthly payments, no annual fee. 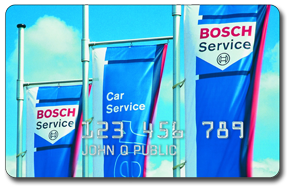 Read more about the Bosch Credit Card. 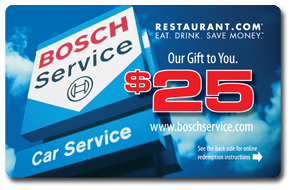 Refer a friend or family member to European Auto Tech and receive a free $25 Bosch restaurant gift card when they use our services. Just tell your friend to mention your name and this ad when they’re in the shop.